Every 1st and 3rd Wednesday of the month. Assemble your team of 6 (or fewer) and come have a blastenhoff. 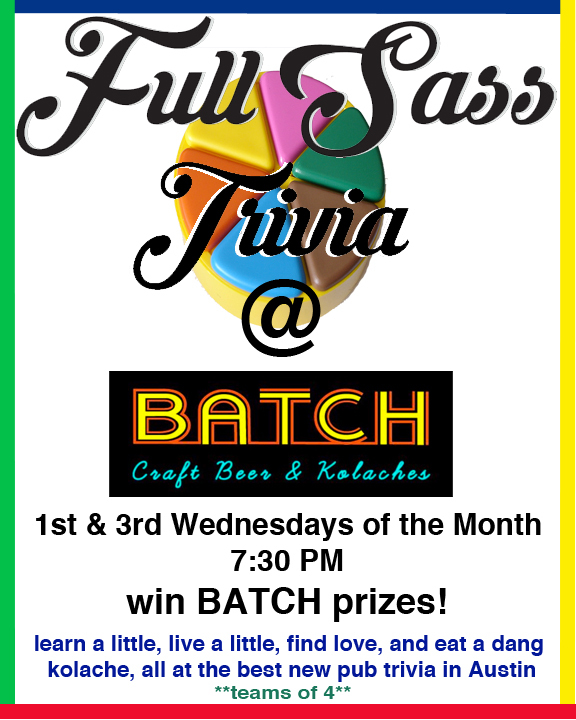 Win Batch (and other) prizes and impress your friends. Or just laugh at the ridiculous questions that may come up. Last month answers included "Okra Winfrey" and "Goldie Flan" so who knows what will come up next.